Is to lose yourself in the service of others…Happy National Volunteer Week! Mahatma Gandhi once said that “the best way to find yourself is to lose yourself in the service of others,” and we couldn’t agree more! Over the past year, 766 volunteers have brought help, hope, and justice to over 1,200 Californians around the state. These volunteers traveled all over California, and with just a few hours, they changed many lives. This National Volunteer Week, we express our deepest gratitude with a slideshow of your photos! A million thanks to all of the outstanding volunteers who made this work possible this past year! You will always be a part of the OneJustice network! Without volunteers like you, hundreds of Californians would not have access to legal help. You make all the difference to them and to OneJustice! Thank you for making justice accessible! OneJustice welcomes 2 new Equal Justice Works AmeriCorps Legal Fellows to the team! This National Pro Bono Week, we’re proud to celebrate all of our pro bono volunteers, who care deeply about bringing justice where it’s needed most. We also wanted to take this moment to introduce you all to two special people who also care about access to free legal assistance, Marian Lee and Maureen Slack. Marian and Maureen are OneJustice’s new Equal Justice Works AmeriCorps Legal Fellows for the Justice Bus Project, which mobilizes pro bono resources to bring free legal assistance to low-income Californians across the state. We’ve asked Maureen and Marian to share with you all a bit about themselves and the work they will be doing at OneJustice. Please join us in welcoming these two new members! Welcome Marian! Tell us, what drew you to the work of OneJustice? Marian Lee is the Equal Justice Works AmeriCorps Legal Fellow for the Justice Bus Project at OneJustice’s Los Angeles office. I was drawn to OneJustice because of our commitment to leveraging the underutilized talent and passion for public service that already exists in the legal community to help the most vulnerable Californians. Throughout my career, I’ve always committed extensive time to pro bono work, so I’m so excited to encourage and enable other attorneys to do the same through the Justice Bus program. The Justice Bus Project offers such a logical solution to a complex problem in California – most attorneys live in urban areas, whereas so many low-income and underserved populations do not. OneJustice plays a unique role in helping to close this justice gap by collaborating with law schools, a variety of nonprofits, and attorneys in both public and private practice. We’re excited to see where the Justice Bus is headed next! What will your role be in this project? As an Equal Justice Works AmeriCorps Legal Fellow, I’ll be responsible for the Justice Bus Project in Southern California. I’m charged with mobilizing pro bono attorneys and law students from urban areas to assist rural and isolated communities out of our Los Angeles office. I hope to expand the Justice Bus program by creating new partnerships with legal services providers and community based organizations in Southern California. Sounds like great work! What did you do before coming to OneJustice? I started my legal career in private practice as a real estate and real estate finance attorney, where I represented developers and lenders. Most recently, I developed programs for 3Ls and international students as an Assistant Director at a law school in Northern California. It’s great to return to L.A. to start my public interest career and reconnect with local attorneys while continuing to work with law students! Those are wonderful experiences! What is something quirky about you? I have a healthy fear of heights but love skiing! I went from tumbling down the bunny slopes to doing blue runs in a couple of seasons. My goal is to one day finish an entire black diamond course in one piece! Maureen Slack is the Equal Justice Works AmeriCorps Legal Fellow for the Justice Bus Project at OneJustice’s San Francisco office. Thank you, Marian! Your turn, Maureen! What inspired you to join OneJustice? OneJustice’s goal of tapping into rural and low-income communities in need provides a great opportunity to examine, and hopefully address, the ways that the legal system underserves certain geographic and socioeconomic populations. Also, connecting with local community and legal organizations to facilitate this goal is really inspiring and rewarding. Tells us more about your role — what kind of things will you be doing? I’ll be working on the Justice Bus Project in Northern California, as the Equal Justice Works AmeriCorps Legal Fellow. In addition to planning and executing one-day legal clinics throughout Northern California, I hope to successfully connect clients in rural communities to meaningful social and legal services assistance, both during the one-day clinics and beyond. We can’t wait to hear about these clinics in the upcoming months! What were you up to before coming to OneJustice? An East Coast native, I grew up in New Jersey and then went to NYU for undergrad. After graduation, I hung around New York for a year as a paralegal at a union-side labor law firm, before heading to Harvard Law School. While at Harvard, I prioritized exploring as many different public advocacy fields as possible, including civil rights, asylum, and eviction law. I’m excited that the Justice Bus Project will allow me to continue exploring different legal areas. Sound like an exciting adventure aboard the Justice Bus! One last question: what’s something you really love? I love exploring new cities. My new move to San Francisco means I get to fully indulge my love of comfortable sweaters and affordable avocados. Thank you so much for joining us, Maureen and Marian! We look forward to hearing about the upcoming Justice Bus trips! A BIG thank you to our wonderful and committed volunteers who make all the difference for veterans, seniors, families, and children! You are all truly inspiring! Happy National Pro Bono Week! The Justice Bus Project takes teams of attorney and law student volunteers from urban areas to set up free legal clinics for low-income Californians living in rural and isolated communities. These clinics provide life-changing legal assistance to low-income veterans, vulnerable seniors, children with disabilities, low-wage workers, immigrant youth, and families. Learn more about this project in the video below! FWD features recent Justice Bus trip to Vallejo. Today, we are delighted to bring you a special guest blog post by FWD.us on their recent Justice Bus trip to Vallejo. FWD.us is an organization founded by world-class technologists such as Bill Gates, Mark Zuckerberg, and Marissa Mayer to support comprehensive immigration reform and policies. A big thank you to Fenwick & West LLP and LinkedIn for joining us in bringing vital legal assistance where it’s needed most! We can’t thank FWD.us enough for featuring our DreamSF Fellow, Miguel Castillo! Check out this amazing read! Have you ever been on a “Justice Bus”? Well I have, last Wednesday, and it was awesome. Because how else would you describe watching dozens of high powered lawyers and legal professionals from Silicon Valley and San Francisco law firms and companies help 23 hard-working members of our community become U.S. citizens, or apply for DACA (Deferred Action for Childhood Arrivals)? The day-long trip, which sent the lawyers and legal professionals on a bus from Sunnyvale, Mountain View, and San Francisco over the Bay Bridge to Vallejo, CA, was organized by OneJustice, a statewide non-profit organization that brings life-changing legal help to those in need by transforming the civil legal aid system. In many rural or low-income communities like Vallejo, legal need far outstrips supply. For example, in Solano County, there is on average ONE attorney for every 77 low-income individuals. Because our communities are safer and more secure when folks are protected under programs like DACA or are naturalized U.S. citizens, the work done by OneJustice and its partners, like the International Institute of the Bay Area, is incredibly important. Fenwick & West LLP and LinkedIn attorney volunteers at the Justice Bus DACA and immigration clinic on September 30th in Vallejo. One of the highlights of the Justice Bus clinic was the building of bonds between communities. I met Miguel (featured above), a DACA beneficiary who is now able to give back to his community as a DreamSF Fellow at OneJustice, where he works with the organization’s Pro Bono Justice Program, and helps organize free mobile legal clinics. I also watched as Mike, a lawyer with Fenwick & West LLP, helped Armando*, an elderly Giants fan, fill out his citizenship application. Armando has been in the U.S. since the 1980s and is a fixture at his local church. At the end of the day, we helped 23 Bay Area immigrants like Miguel and Armando apply for U.S. citizenship or DACA. Meeting new friends like Miguel, who are so extraordinary but are only able to work today because of DACA, reminded me of the urgent need to pass comprehensive immigration reform. The immigration system today is deeply flawed, and our country will benefit economically and culturally from fixing it. That is why we look to Congress and the Senate to work with us to pass comprehensive immigration reform for families and businesses in 2017. Original Article posted on FWD.us blog on 10/15/15; reposted here with the permission of FWD and Katie Aragon. Our very own Justice Bus Program Coordinator, Ruby Kimberly, tells us about bringing vital legal assistance to Hollister. In her time at OneJustice, Ruby has coordinated 85 Justice Bus trips around the state! These trips are made possible by our amazing volunteers, partner organizations, corporations, and firms, who join forces to bring life-changing legal help to communities all over the state. As a valuable member of our Pro Bono Justice program, we asked Ruby to share a trip that resonated with her the most during her time at OneJustice. I had been an employee of OneJustice for less than eight months when I boarded a bus to Hollister in July 2014. Before this trip, I had already attended over 20 Justice Bus trips bringing free legal services to nearly 600 low-income individuals throughout the state. Since joining the Pro Bono Justice team as the Justice Bus Program Associate the previous October, I had traveled to and helped organize free legal clinics in communities as far flung and geographically diverse as the Klamath, just south of the Oregon border, to Pixley, a census designated place at the far end of California’s drought-ridden Central Valley. And while each mile traveled proved as critical as the next, I felt something special on this particular day as we made our way down the 101, through Santa Clara County and into the sparsely populated San Benito Valley. This was the first time that the Justice Bus had ever traveled to Hollister, but it would not be the last. The story of Hollister for me is one of a justice gap and how to fill it. For those who have never heard it, “justice gap” is a term used to describe the discrepancy between the concentration of legal resources in urban areas versus the concentration of low-income and particularly vulnerable populations in rural ones. For example, where as in San Francisco there is one attorney for every six low-income individuals, San Benito County has just one attorney for every 120 low-income individuals. Bridging gaps such as this is the entire raison d’etre for the Justice Bus Project, and it is a goal which requires the effort of a diverse group of stakeholders, usually located in multiple different regions, as well as dexterity and mobility (hence the bus!). And, never had it been more evident to me how well suited the Justice Bus Project is for this seemingly insurmountable task than in the case of Hollister. Lowenstein Sandler LLP attorney volunteers assist a client with citizenship matters at the July 2014 clinic. Our journey to Hollister had begun several months earlier when we received a call from a teacher at the local community college. He heard about a Justice Bus clinic we were holding in a neighboring town to assist Green Card holders with their applications for citizenship and wanted to sign some of his students up. Despite the dearth of resources in San Benito County, we would not be able to serve his students, because funding restrictions on this particular clinic limited appointments to locals only. But the thing I love most about the Justice Bus Project is that where there’s a will, there’s usually a way, and -– after piecing together four different partners from four different counties -– a way we found! Now just over a year later, we’ve held two immigration-focused clinics there, delivering free services to 42 individuals and helping to build a permanent network dedicated to serving the Hollister community. We continue to receive phone calls from organizations across the County inquiring about our services and how they can help, and together, we’re watching as day-by-day this gap slowly shrinks. As the Justice Bus Program Coordinator in the Pro Bono Justice Program, Ruby Kimberly coordinates Justice Bus trips in Northern and Southern California, mobilizing attorney and law school student volunteers to bring life-changing legal help to isolated communities in the state. Justice Bus mobilized volunteers to bring legal help where it’s needed most! As we wrap up the summer and prepare for fall, we’re excited to report back on a very successful Justice Bus summer season! This summer, the Justice Bus traveled to nine locations around the state–sometimes traveling to two locations in the same week! In three months, our amazing volunteers assisted 264 low-income individuals with a variety of legal problems, including housing, immigration, veterans benefits, expungements, estate planning, and medical debt-related issues. A big thank you to all of our wonderful Justice Bus Riders, supervising attorneys, supporters, firms, and partnering organizations for bringing justice where it’s needed most! 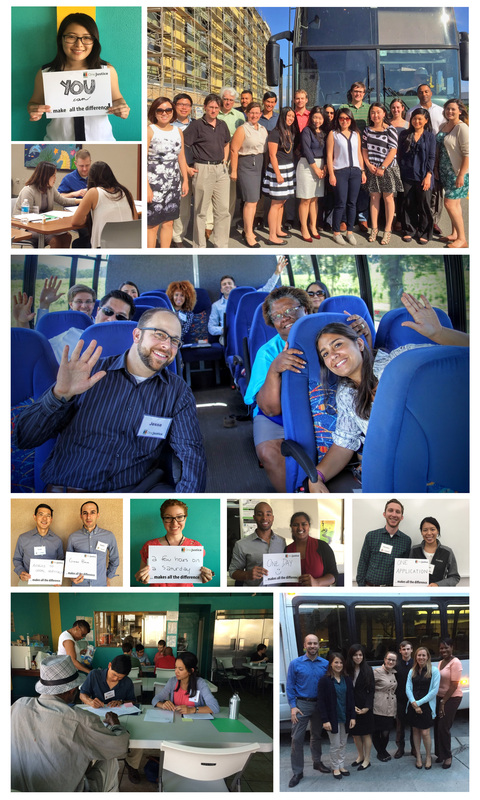 Thank you to these firms and organizations for participating in this summer’s Justice Bus season! This blog post has been updated to include O’Melveny & Myers LLP and Asian Americans Advancing Justice. OneJustice welcomes new staff: Part 2. Welcome back! This month, we are featuring a two part series to introduce our new staff: two last week and two this week. Please join us in welcoming our other two newbies: Sandra Hernandez, Pro Bono Program Associate, and Katherine Pluymert, Healthy Nonprofits Program Associate. We are so excited to embark on this adventure with them, and would like to introduce them to you too! Please welcome Sandra and Katie! 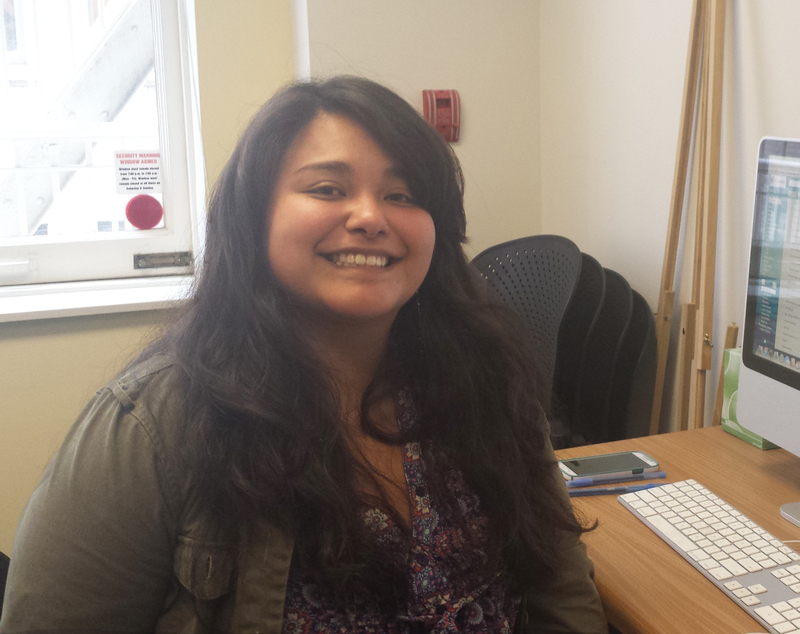 Sandra Hernandez, Pro Bono Program Associate. Sandra, what drew you to the work of OneJustice? I was born and raised in a rural part of California, and I witnessed first hand how difficult it was to access basic legal help. When I heard about OneJustice and their commitment to making legal help accessible to communities like the one I was raised in, I knew I had to be part of this amazing team. What will you be responsible for at the organization – and what do you hope to achieve? As the Program Associate for the Pro Bono Justice Program, I will be responsible for supporting and coordinating many aspects of the Law School Pro Bono Project, Rural Justice Collaborative, and Justice Bus programs. I am also very excited to be working on the upcoming Statewide Conference in 2016. In the future, I hope to help the Law School Pro Bono Project grow so that many more students have the opportunity to be directly involved in making a difference in California. We can’t wait to hear about the upcoming conference! Now tell us, what did you do before coming to OneJustice? After graduating from the University of California, Santa Barbara with a degree in Theater Directing, I pursued my developing passion for community engagement. I worked at a nonprofit organization where I focused on outreach and helping families access resources and basic life necessities. Through this work, I began to see the necessity for free legal help for underserved communities. Soon after, I began to seek opportunities in legal services to be able to make a direct impact. And what is something quirky about you? One of my hobbies is hiking. Not the kind of hiking that you have to wear special shoes or carry around ropes and walking sticks for, but I do enjoy a moderate hike/climb. I find it is a very relaxing and rewarding activity! 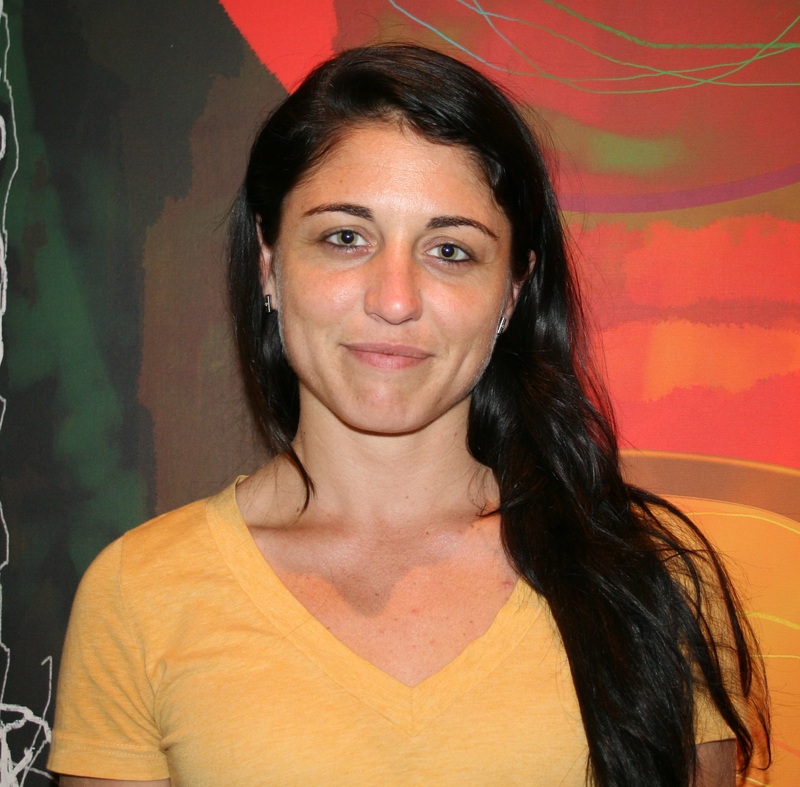 Katherine Pluymert, Healthy Nonprofits Program Associate. Thank you, Sandra! Hello Katie! Tell us, why work with nonprofits and in particular, OneJustice? I really love the nonprofit sector, and I care deeply about providing essential services like legal assistance to people in need. But I think that a successful nonprofit is mindful not only of the services it provides, but also of the way that the organization functions as a whole. It’s a huge blessing to work at a place like OneJustice, which helps train attorneys, executives, and entire organizations in best practice. It’s all the little things put together that make a nonprofit great. And a nonprofit functioning at its fullest potential can provide the best services to people who really need it! I feel really lucky to have the opportunity to be a part of the amazing work that OneJustice is doing. What will you be doing at OneJustice? I’ll be helping out by providing program assistance for the Executive Fellowship program, which helps train legal service nonprofit executives in a holistic set of skills like effective fundraising, communications, strategic planning, and board development. 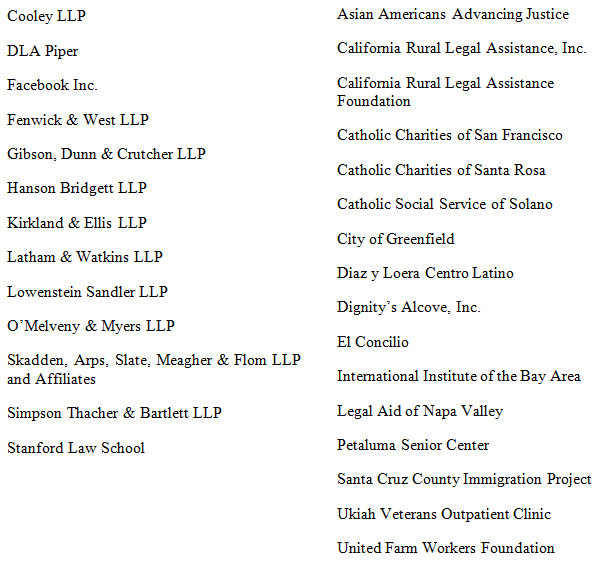 I’m also providing support for various consulting projects, and I will be coordinating PI/PS Day, which connects law students from several Bay Area law schools with public interest/public sector groups for their summer clerkships. I hope that the work I do will help support legal service nonprofits and law students, so that they can provide legal justice for all. What did you do before coming to OneJustice? I recently graduated from Westmont College in Santa Barbara with a B.A. in Sociology. One of the most formative experiences of my undergrad was a full-time summer internship with the St. Anthony Foundation in San Francisco’s Tenderloin District, where I worked to provide homeless and low-income individuals with food, clothing and basic computer skills. It was through that experience—and others like it—where I discovered my love for nonprofits and the tangible impact that they can have on the lives of people in need. Sounds like amazing work! Tell us something else about yourself! I just finished up my tenure as Editor-in-Chief of the student newspaper at my college, so if you need a catchy headline, I’m your person! I also used to be a competitive tap dancer and dance teacher. Welcome Sandra and Katie! Thank you for joining us! Did you hear about what happened last Thursday? The OneJustice Network brought justice where it’s needed! OneJustice CEO Julia Wilson and honorees, Kathryn Fritz, Claire Solot and Martin Tannenbaum, at the 2015 Opening Doors to Justice event. Last Thursday night, over 60 corporate and individual sponsors and over 300 OneJustice supporters came together for this year’s Opening Doors to Justice event to honor Kathryn Fritz, Claire Solot, and Martin Tannenbaum for their leadership in advancing access to justice for Californians. Generous individuals and sponsors, like you, raised a total of $273,000 to fund the Immigration Pro Bono Response Network. This project will provide regional training, support, and coordination to deploy private sector volunteers in the Bay Area and Los Angeles to bring vital legal help to those eligible for immigration relief. In addition, your support will launch a pilot project serving three high need rural counties — Merced, Stanislaus, and San Joaquin — with local clinics and virtual connections to urban volunteers. We promise to bring immigration relief to 450 Californians over the next year -thanks to you! Betsy White, ‎Legal Counsel at Apple & OneJustice Advisory Board member, at the 2015 Opening Doors to Justice event. We are so honored to be surrounded by passionate and amazing individuals, corporations, and organizations that bring life-changing legal help to those in need. We look forward to seeing you next year! Thank you for bringing justice where it’s needed most. P.S. And in case you were unable to attend, check out our thank you videos in honor of Kathryn, Claire and Martin below! 2015 Opening Doors to Justice: Kathryn Fritz from OneJustice on Vimeo. 2015 Opening Doors to Justice: Claire Solot & Martin Tannenbaum from OneJustice on Vimeo.